View the product image above and check out the precise details and craftsmanship put into this remarkably durable Gag Bit. 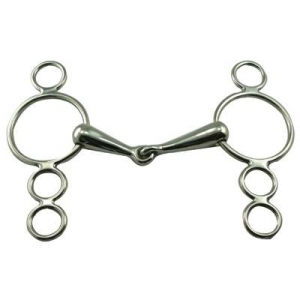 When you buy one of our premium quality horse tack products you are buying a high quality product for your horse. These 3 Ring Continental Gag Bits are made to last for many years. 3 Rings. 3'' Rings.20mm mouth.